Let me tell you about the most magical place in Utah, Goblin Valley. As a teenager, my family moved to Salt Lake City from Los Angeles. While living there for 8 years, I went to high school, graduated college, met the love of my life, and found a new appreciation for nature. My fiancé Robb and I have spent our early relationship exploring Utah where he grew up. Before moving to Utah, I never knew what wonders the desert can bring. I was a tropical girl, intrigued by the beaches of California and Hawaii. The deserts just seemed so…. Bleh. I was wrong. I was very very wrong. 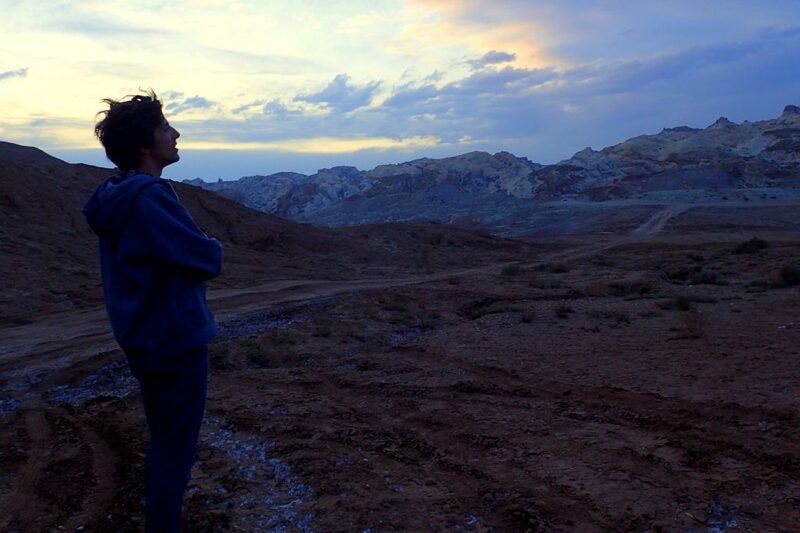 We started to explore the wonders of Southern Utah and my heart was captured. The beauty of the red rocks blew my mind away. There is simply something mystical about these deserts. Surrounded by majestic formations carved out by mother nature thousands of years ago, you really feel small. Many before, humans and different species alike, have come across these formations throughout the years, slowly changing, remaining the same to the naked eye. It’s as though time stops completely in the desert. Coupled with the extravagant feat that creatures and insects take to survive in the extreme climate and the forever remaining landscapes ever so slightly shaped by the winds, deserts entice a sense of magic. It’s almost as if you are in another world. Now, when it comes to Southern Utah, I know I’m not alone in the awe of it’s beauty. However, I am often surprised to learn that many do not know of one of my favorite parks. Everyone knows that arches in Moab is beautiful, and yes, it is. 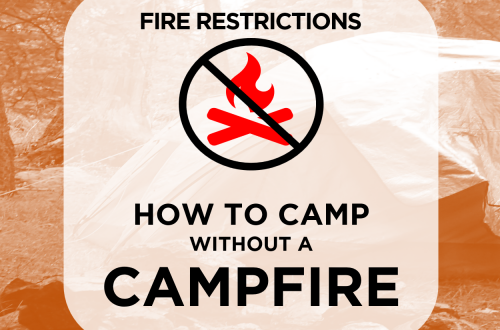 Beyond that, people may be aware of the several national parks including Canyon Lands, Brice Canyon, Zion, and Capitol Reef. Those are amazing and I will always recommend visiting any one of those parks. However, even my most avid Colorado camper friends are missing my favorite park on the list. This is probably because it is a state park instead of a national park and well, the pictures aren’t quite as glorious Arches or Canyon Lands. From the overlook, it looks a bit more like crumbly rocks. When comparing to the deep canyons, this may not be as compelling. But trust me when I say this, Goblin Valley is not one to be missed. 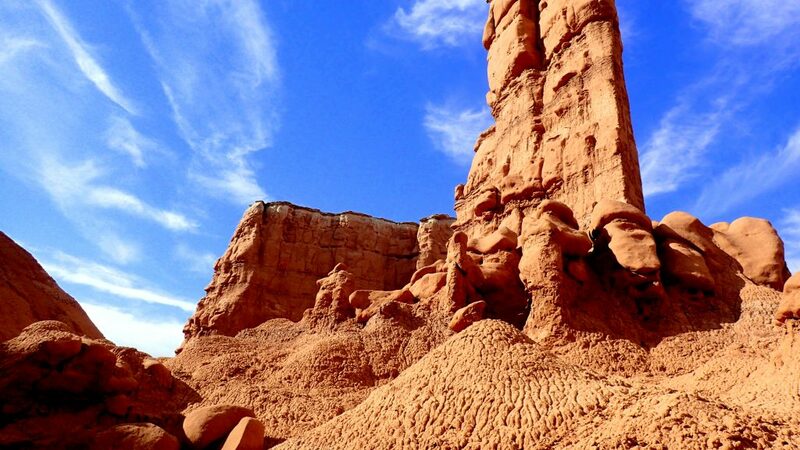 Here are 10 reasons to check out Goblin Valley State Park on your next visit to Utah. As I mentioned before, this park gets way less visitors than the more popular ones in Moab. That means, you can really get the feel of being alone in the desert. It’s something else. Just hike in a little ways and there is not a single person in sight, even on a weekend. It’s hard to really explain how that feels if you have never experienced it but I can tell you it’s amazing. 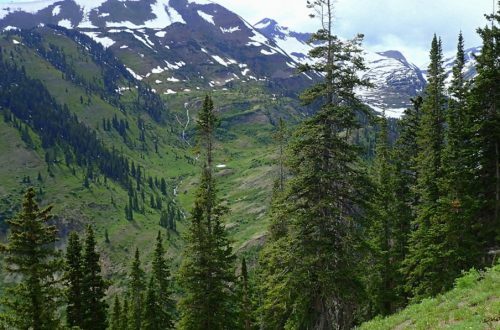 With Utah National Parks gaining popularity, it is rare to find such a beautiful place that is this secluded. Arches gets so busy sometimes that they have to close the gates. 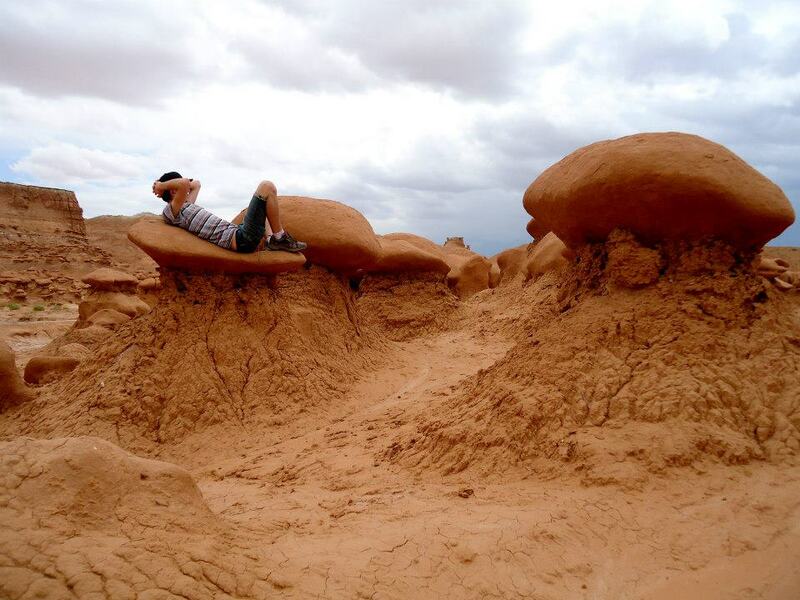 Goblin Valley may be smaller but because it’s secluded, it feels like your a world apart from the next visitor. I’ll take that any day! 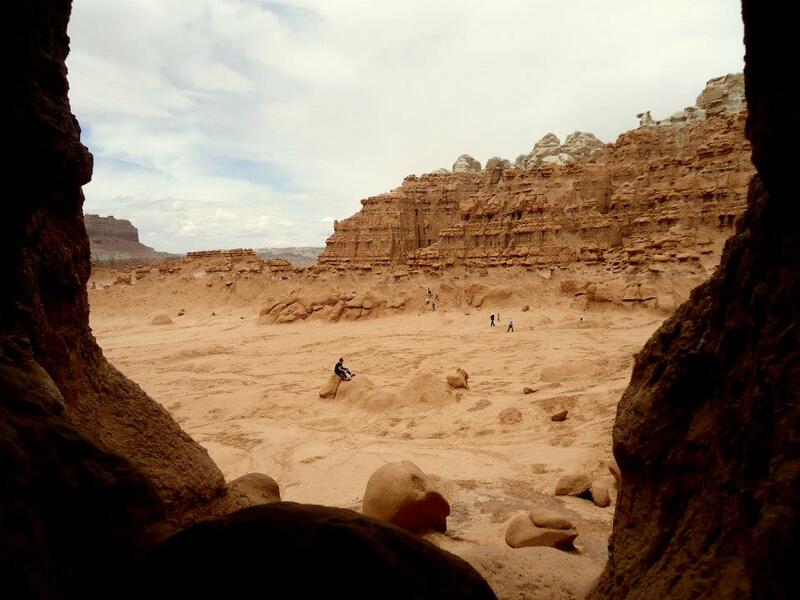 Goblin Valley is basically a giant play ground. Once you get in the park, you’ll find huge field of goblins, where you can climb, pretend, and have a lot of fun. A nice difference between Goblin Valley and other Southern Utah adventures is that it is generally safe. At the front of the park, there are many Goblins around 5 to 10 feet tall making them easy to climb up for almost any age. While I love those jaw dropping canyons, my fear of heights can make those hundred foot drops a bit daunting. At Goblin Valley, the most trouble you might get yourself into is a scrapped knee here and there. I always see a bunch of families running around and having a great care free time in the park. While there are trails, you can basically go in where ever you choose. Don’t worry about a crowded hike. Simply have fun! If you want to go in deeper, it is super easy to get to a secluded area near the back of the park. Robb and I are in our 20s so we often like the peacefulness away from younger children. Most of the younger families stay near the front of the park so if you want to feel like your in a world of your own, a small trek will do. Up your camping street cred by exploring this local favorite. 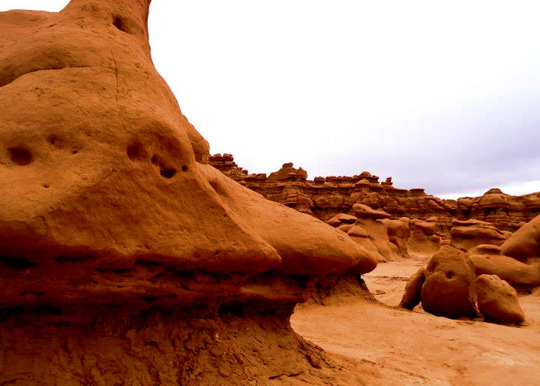 As a young adult in Salt Lake City, everyone knows about Goblin Valley. 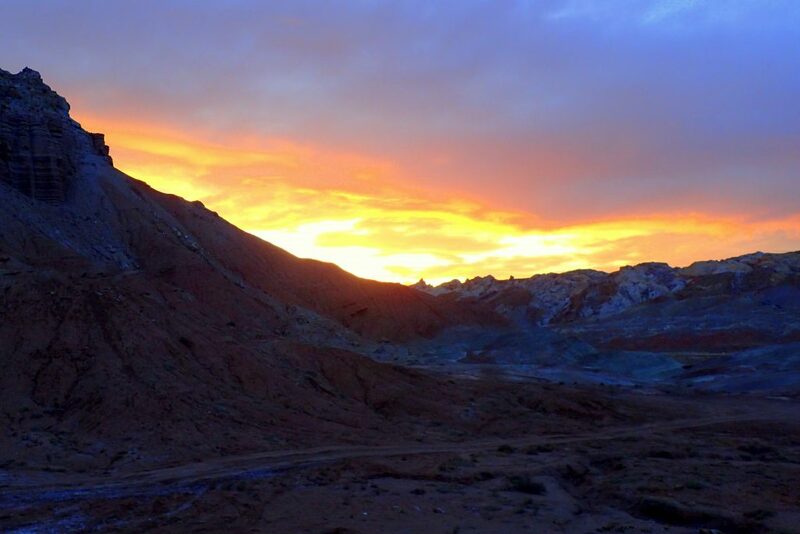 It is only about 3 ½ hours away and you escape the crowds of Moab. Pretty much all of my friends are obsessed with this park. Once I moved to Colorado, no one has even heard of it. Be the cool friend who knows of the cool camping spots. 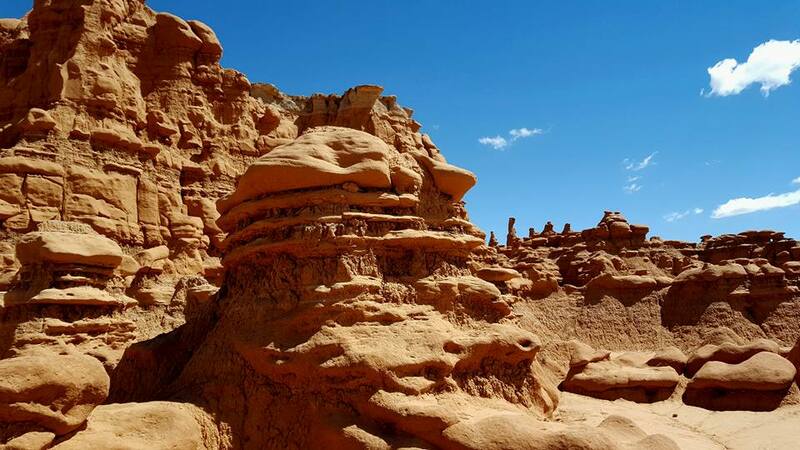 Go to Goblin Valley. While Goblin Valley doesn’t have those iconic arches or canyons, it is perfect for your great silly photos. I mean, look how happy I look in this picture of me from one of our first visits! 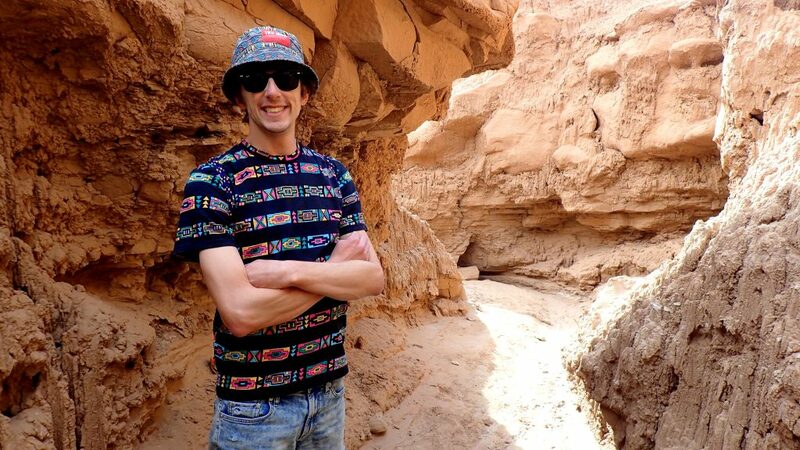 Whether you are trying to snap that perfect family photo for grandma or that great shot of your crew for Instagram, Goblin Valley will not disappoint. They are cute. They are cheesy. The options are endless. Slot canyons are fun. Slot canyons are beautiful. However, many slot canyons are difficult to reach. Several might be hard to reach because of the physical demand of the hike. Others may be hard to get due to lengthy wait times on permits. Either way, it may be hard to get to them. Goblin Valley has you covered. Within a mile, you can reach cool slot canyons with little to no physical demand. Look how beautiful the picture looks? Don’t you want to be in there right now? Uninterrupted landscapes. Clear dry skies. What better conditions can you get for picturesque sunsets. You can stare at this all day. Check it out. It’s so much better in person. One of the coolest things about Goblin Valley is the expansive amounts of FREE BLM camping right next door. You heard me right. Free! Once you pass the state park, you can follow a dirt road into several mini slot canyons all equipped to handle your camping needs. What is even better is that these spots feel like a world away, even if there is a camper in the canyon right next to you. As a college kid, this was my favorite spot to camp. Unlike Moab, there is no one there. It’s the perfect escape. It feels like it is just you and the desert. Plus if you are lucky, you may find a spot with a few goblins in it. Even if you can’t find a spot initially, just keep going down the road. There are so many cool ones in the area! 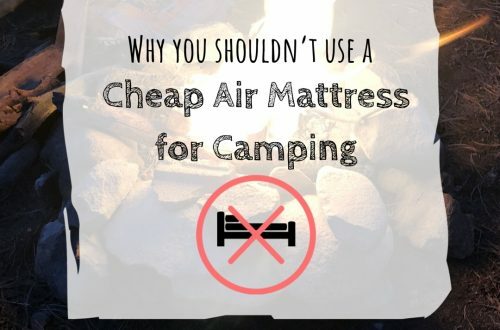 Speaking of secluded campsites, you can rest assure that sound does not travel. This is probably because it’s so a dry empty desert that there is nothing for sound to bounce off of. It’s quite eerie actually. If there is no wind, it’s dead silent. And this is with other campers in a canyon right around the corner too. What that means is that if you want to party all night, go right ahead. No one will hear you. How cool right? Last but not least, it’s just flat out cool. 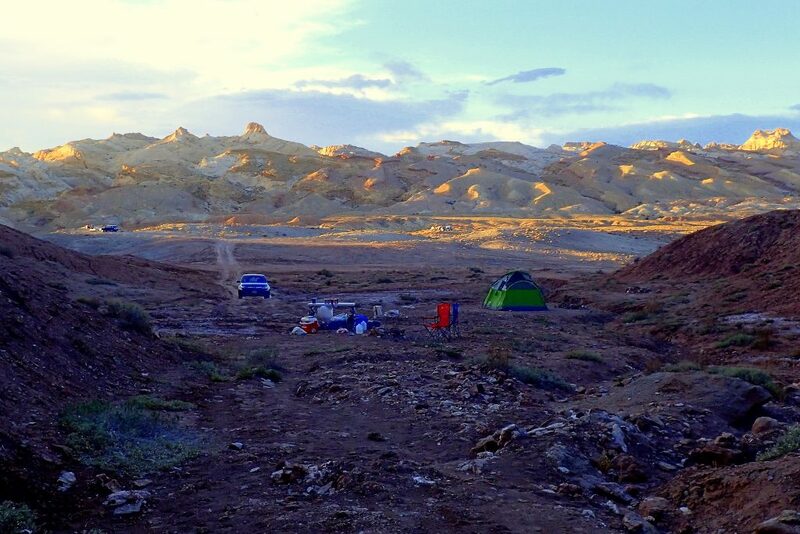 Camping in the desert is always fun and its great to find new areas to explore. Why not check out something you haven’t been to before? I’m sure you will not be forgetting your experience any time soon. 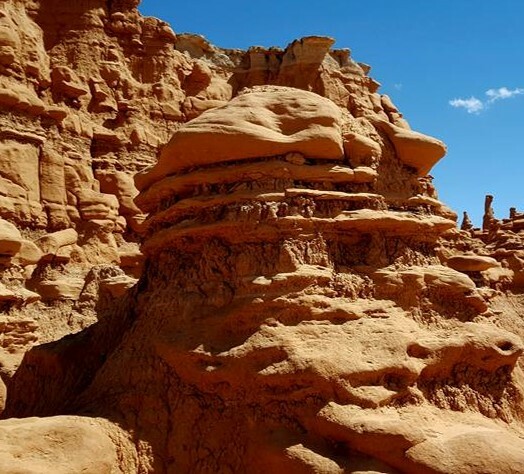 Have you been to Goblin Valley? Planning a trip soon? Let me know in the comments below. Like this story? 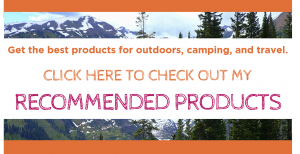 Subscribe to my blog today to get great updates on outdoor adventures like these. This must be a secret – but one that I want to see!!! I’ve been to both Bryce and Zion in the last year, and have my hopes on getting to the other big three national parks later this year when we head from Texas out to the west. I’ll never be able to make it out of Utah if I keep finding more places to see while there. Thanks for the idea – I’m definitely saving this and can’t wait to see this secret place! That’s great to hear. 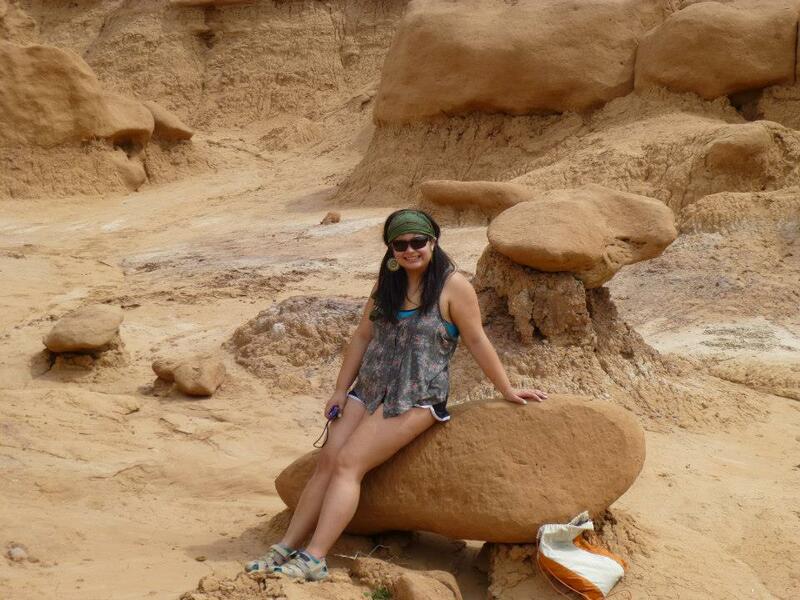 When I lived in Utah, all of my college friends were obsessed with Goblin Valley. Even today, while living in Denver, I constantly recommend this park and am usually surprised that no one in just a state over has even heard of it before. 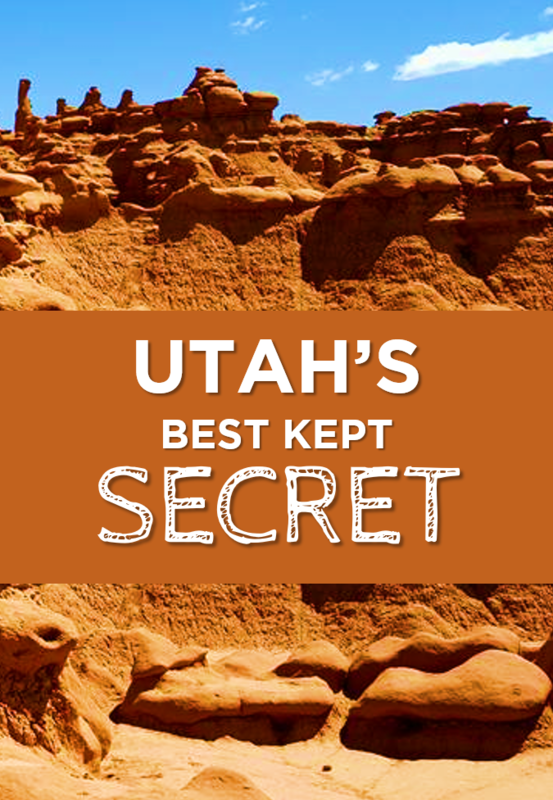 I hope that you have a great time if you do check it out on your next Utah trip!